Hi, it’s me, Lily again!! Today at lunch time I’m going to leave Arizona and go back to Texas. I’m going to miss all my cousins but I miss my dad, so I’m excited to see him tonight! Next week is the Fourth of July. Another word for it is Independence Day. We have fun and eat food and watch fireworks. I do not like the sound of the fireworks popping but I love watching the colors of the fireworks because it’s AMAZING!!! 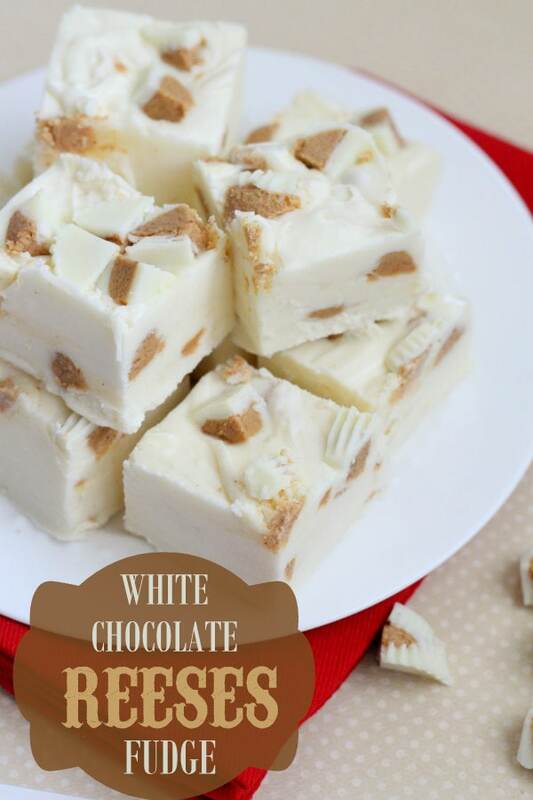 Today, I’m sharing a recipe for Homemade Pay Day Candy Bars. We made this last year and I don’t remember much other than it was really yummy! I hope you like this candy bar – it’s my mom’s favorite! 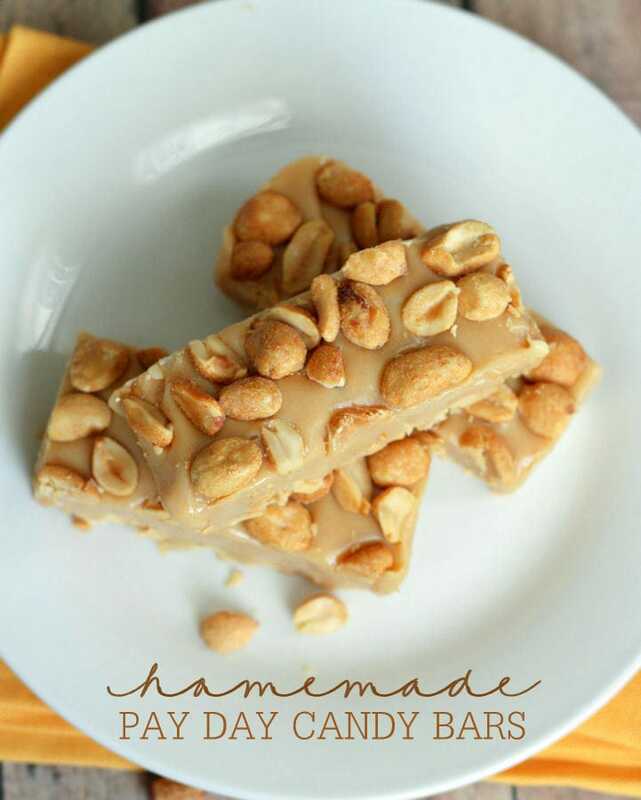 Homemade Pay Days - so easy to make and they taste just like it! 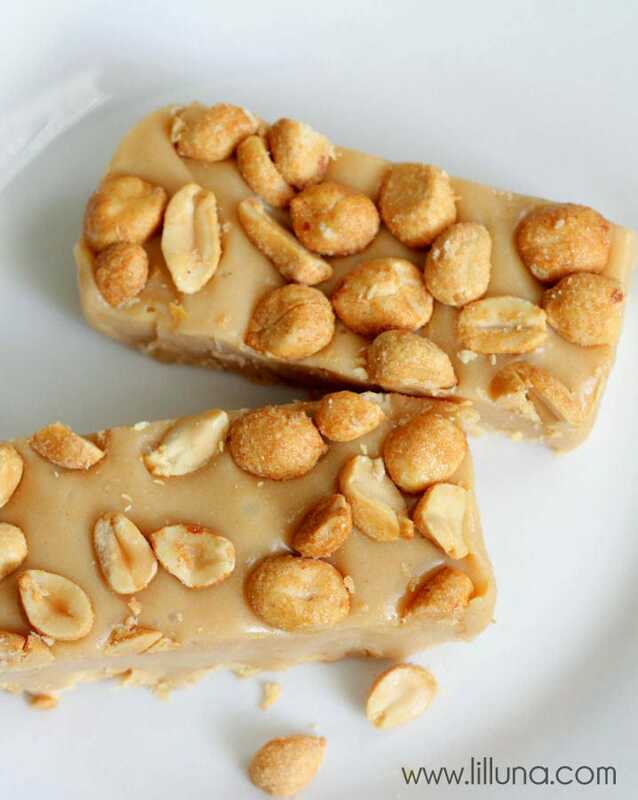 Recipe includes peanuts, peanut butter chips, mini marshmallows and sweetened condensed milk. 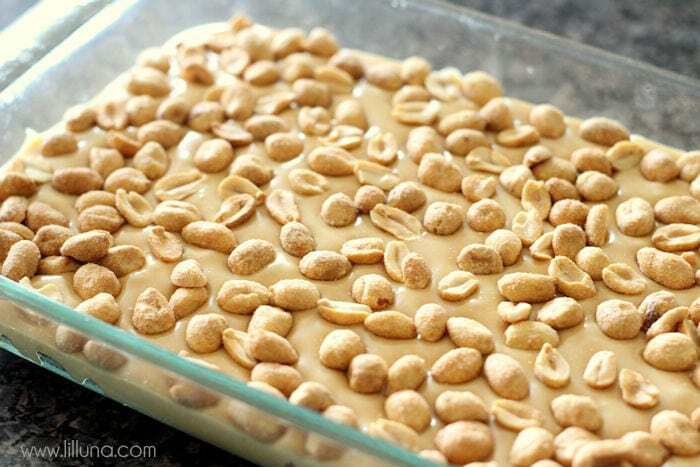 Pour half your peanuts into a greased 11x7 pan and spread so they cover the bottom. In a small pan melt butter and chips until well combined. 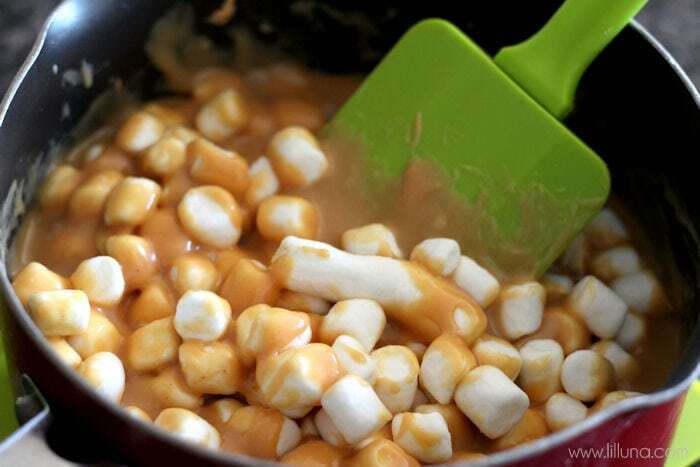 Add condensed milk and marshmallows and stir until all mixed. 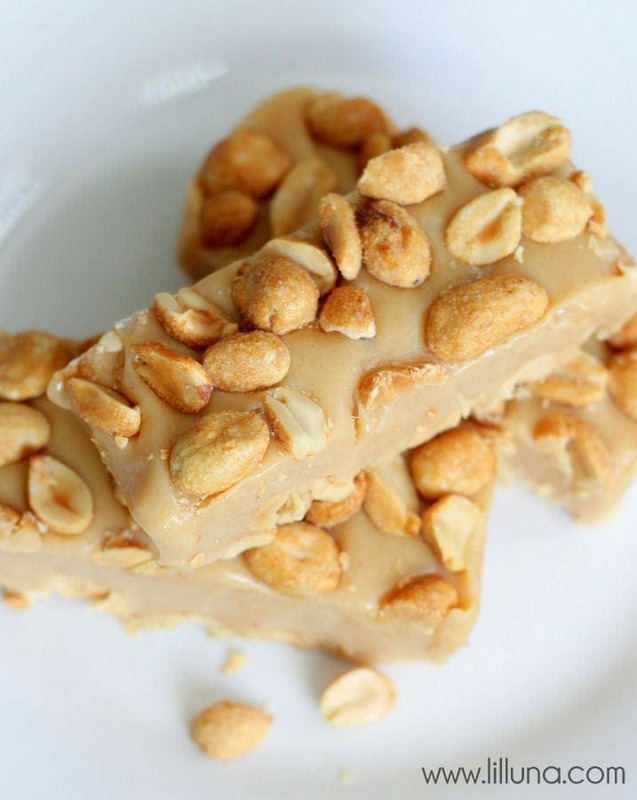 Top with remaining peanuts and let cool (refrigerate if desired). Loving this!!! I’m so intrigued by the recipe— I’ve never tried anything like it! Which means I’m probably going to have to give it a whirl… 🙂 Pinned! Oh Ashton – it is so good and so easy! 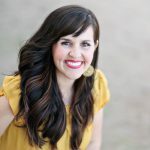 If you like Pay Days, you will totally love this! Ooooo! Yum! I love PayDays! I had no idea you could make those. Can’t wait to try them. This is the best candy bar ever!! Wow, is that what is in a Pay Day? No wonder they are so tasty. Thanks for the recipe. It looks simple and delicious. Do you think peanut butter would work in place of the chips? Or maybe it wouldnt set up? I got everything today, but thought it had said PB, so no chips. I made these but they never seemed to set…. so it is a gooey mess to eat them. :/ did I do something wrong?! I had the same issue. I know a lot of times with candy it needs to reach a certain heat point. Mine are very soft. They are tasty but soft. I was hoping to find the answer here. I will try that next time. I stirred until all was melted. Mine didn’t either, they taste awesome. I just thought maybe they would have been a little more hardened. And I refrigerated them for 4 hours. I ended up leaving them sitting on the island all night. In the morning, they were perfect. So they must need to set out awhile uncovered. Lily, Thank you for the recipe. 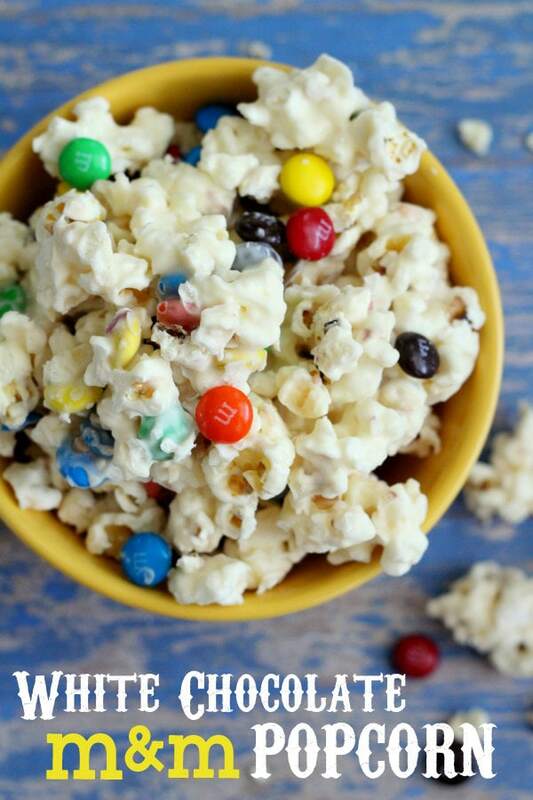 I’m going to make them as soon as I get all the ingredients. Thank you for the pictures; you did a great job. I don’t think I’ve made candy bars before, so they were a big help! These look soooo yummy, Lily!!! Will definitely try them soon!!! THANKS for sharing your recipe!!! Mine never set up and stayed gooey. Thoughts? I also was wondering if you sprayed the dish with any cooking spray or buttered it. Is it really 3 teaspoons? That is 1 Tablespoon. Butter is normally measured by Tablespoons so is it supposed to be 3 Tablespoons or 1 Tablespoon? These turned out great and are very tasty! The only reason that I took off a start is that I feel these instructions are a little incomplete. 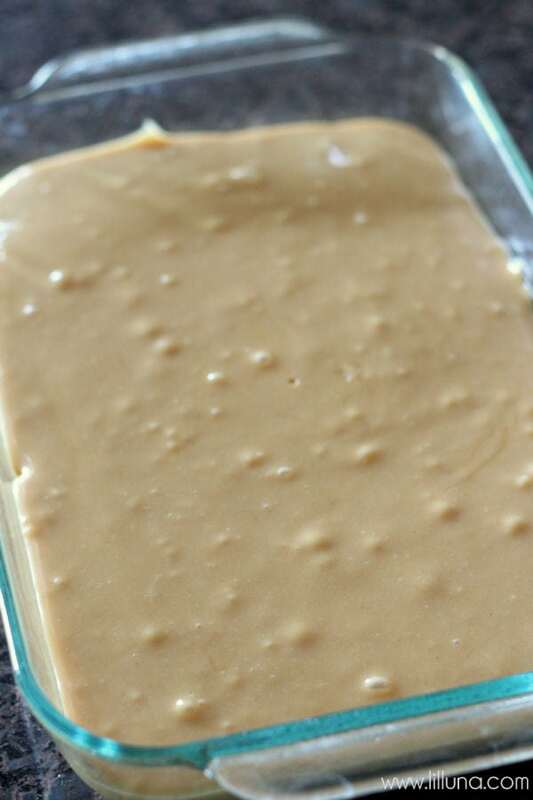 These bars definitely won’t set properly if you follow these exact instructions – I had to boil my mixture over medium heat for about half an hour to make sure it was going to set into a chewy candy. It should be very thick and slow to fall back together when separated in the pot. 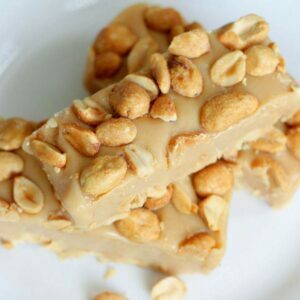 I also found that the peanuts on the top (despite having pushed them into the mixture) almost all fell out when I cut it into squares. 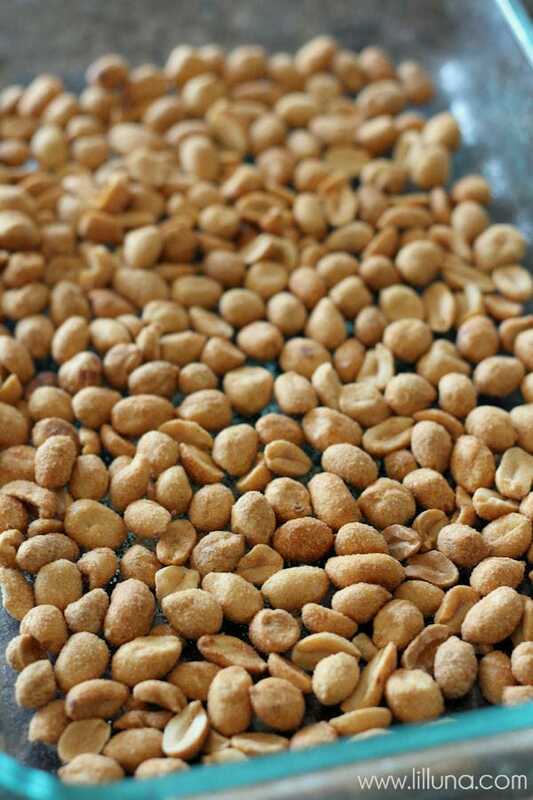 Next time I would probably only put the peanuts on the bottom (or mix them in)…it doesn’t look as nice with all of these peanut holes! Delicious recipe though, going to be a hit at Christmas for sure! Anita, I sure wish I had read your comments before I made these again. I knew there was something missing in the instructions. I’m sad That I wasted all those ingredients. All of these Pay Day recipes seems to be a waste of time. I have compared all of the different recipes and their ingredients and have tried this 2 years in a row for Christmas baking They do not set up. They are runny and a mess. Refrigerating does not help at all. How many ounces for the condensed milk? Yes, you need to constantly be stirring, otherwise it could burn a little. Double broiler works too 🙂 Chocolate drizzle sounds yum!! I hope they like them!! Thank you! These were amazing! I read the comments and modified accordingly, they set perfectly. I used the small can of sweetened condensed milk, 3 cups of mini marshmallows not 2. After they melted I stirred until it felt “sticky” (about 5 more minutes). Also be sure you are using the correct size pan. 11×7. 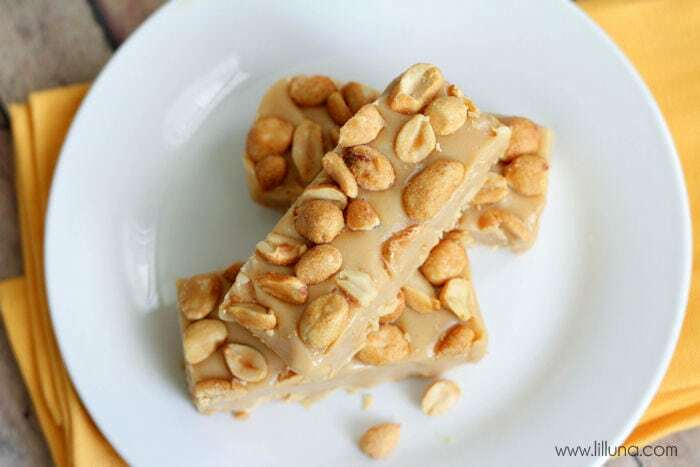 I pressed the peanuts into the top and only a few fell off when eating, same as a Pay Day bar. Maybe chopping them up first then pressing them in would work too. They were a hit with my guys today. I’ll be making them again! Hi, Love Pay Days. Can you please tell me the size of Sweetened Condensed Milk that you used? 14 ounces 🙂 Hope you like them! I can hardly wait to try these payday bars. They look delicious! 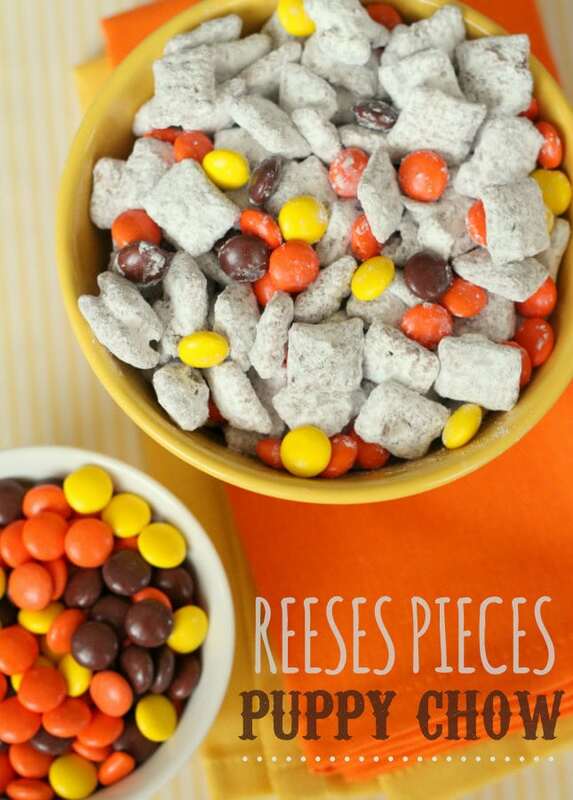 Made your payday candy and my family loved it! Gone! My 20 something daughter will be making it to take to the shore with her friends. Thanks for sharing the recipe, it’s a keeper. That makes me so happy to hear! I hope your daughters friend’s like them, too!! Tried making your Pay Day bars, but came out soft instead of firm. They have been the refrigerator for over a day, may see what happens if I freeze them. How did they turn out after freezing them? I hope you liked them! What is the yield for this recipe? How many bars in a batch that the Nutrition label refers to? ?